The government on Saturday accused the Congress, its President Rahul Gandhi and UPA Chairperson Sonia Gandhi of betraying Muslim women. The government on Saturday accused the Congress, its President Rahul Gandhi and UPA Chairperson Sonia Gandhi of betraying Muslim women by thwarting the passage of the triple talaq bill in the Rajya Sabha, and appealed to women organizations across the country to start a peaceful agitation against the Opposition to create moral pressure to pass the law. 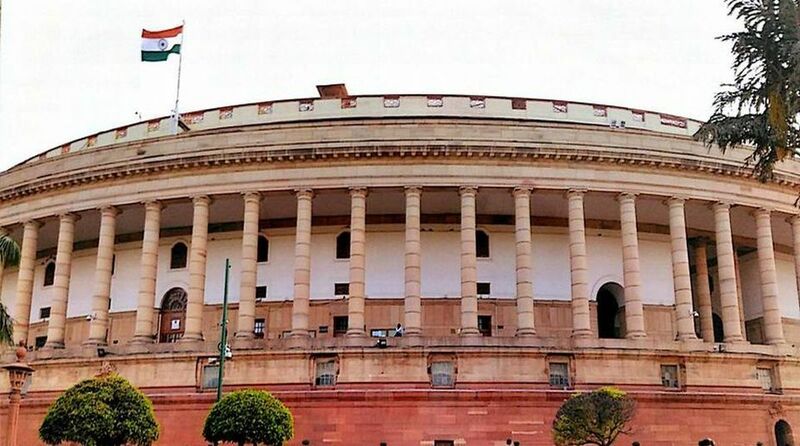 Addressing a press conference at the just-concluded monsoon session of Parliament, Parliamentary Affairs Minister Ananth Kumar said: “The government did three amendments in triple talaq bill. The question is why Congress, Rahul Gandhiji and Soniaji are trying to thwart the bill. Why are they trying to create obstacles?. 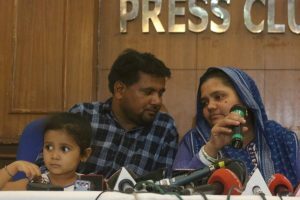 By thwarting the triple talaq bill, they betrayed our Muslim sisters”. Raising questions over the conduct of the Congress and other opposition parties, he asked: “when the bill was passed unanimously in Lok Sabha, then why are they trying to create hurdles in Rajya Sabha repeatedly”. “I think, all the women organizations, the organizations who work for gender justice and crores of Muslim sisters should start a peaceful and non-violent agitation. They should create a moral pressure on Rahul Gandhi, Sonia Gandhi and other opposition (leaders) so that the triple talaq law could be passed expeditiously and the victim women could get protection,” Kumar said. Referring to the amendments brought by the government in the bill, Kumar said only the victim woman and her blood relative can complain, the bail provision will be decided by the magistrate only after hearing the victim and the compensation will be decided by the court. His deputy Vijay Goel also accused the Opposition of consciously creating difficulties in passing the triple talaq bill. “We (Rajya Sabha) passed 14 bills in this session, including six ordinances. The triple talaq bill would have been passed if the Opposition had not created hurdles intentionally. The Opposition passed the bill in Lok Sabha but despite the amendments in it, they did not allow passage of it in Rajya Sabha,” he said. Goel further said the session of Parliament was productive for the government with 21 bills passed by the Lok Sabha and 14 by the Rajya Sabha. Calling it a “social justice” session, Goel said a social justice fortnight will be celebrated from August 15-30 to mark the passage of the bill giving constitutional status to the National Commission for Backward Classes and the SC-ST (Prevention of Atrocities) bill. Goel said all the ministers will approach people in their homes in their constituencies and inform them about the bills passed by the government. “The programme will be celebrated every year between August 1 and 9,” he added.